Japanese oil and gas exploration and production company INPEX has announced that its Ichthys LNG Project’s onshore processing facilities at Bladin Point in Darwin commenced operations on Friday. 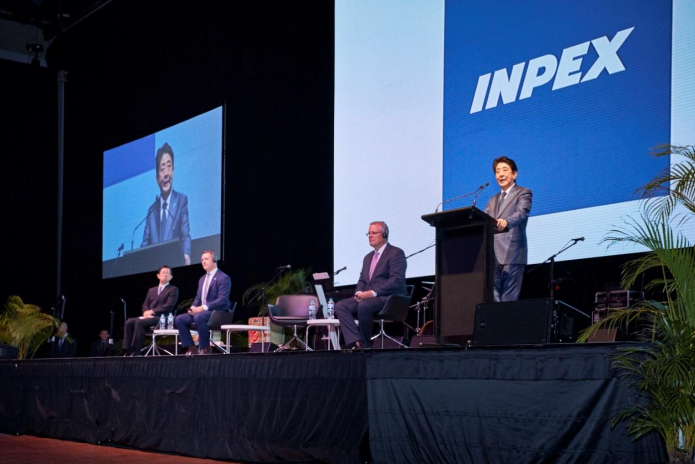 The commencement of Project operations was celebrated at a special event in Darwin which was attended by Australian Prime Minister Scott Morrison and his Japanese counterpart Shinzo Abe. Resources Minister Matt Canavan, who also attended the event, said the move signals the beginning of decades of economic benefits for northern Australia. “Today’s opening marks the beginning of decades of continued economic benefits for Australia, and the nation’s north in particular,” Minister Canavan said. The Ichthys LNG Project, which has an estimated 40-year lifespan, features some of the world’s largest offshore facilities, linked to its onshore processing facilities near Darwin by the longest subsea pipeline in the southern hemisphere. It commenced shipment of LNG in October 2018, and is scheduled to gradually increase its LNG production volume and produce approximately 8.9 million tons per year, equivalent to more than 10% of Japan’s annual LNG import volume. Around 70% of LNG produced by Ichthys will be supplied to Japanese customers.